When he's ready to leave the double blades behind and progress to a true figure skate, this tricot lined model from American Athletic is the skate for him. With a classic figure skate blade, durable, padded upper and ankle support his skating will definitely improve. When he&apos;s ready to leave the double blades behind and progress to a true figure skate, this tricot lined model from American Athletic is the skate for him. 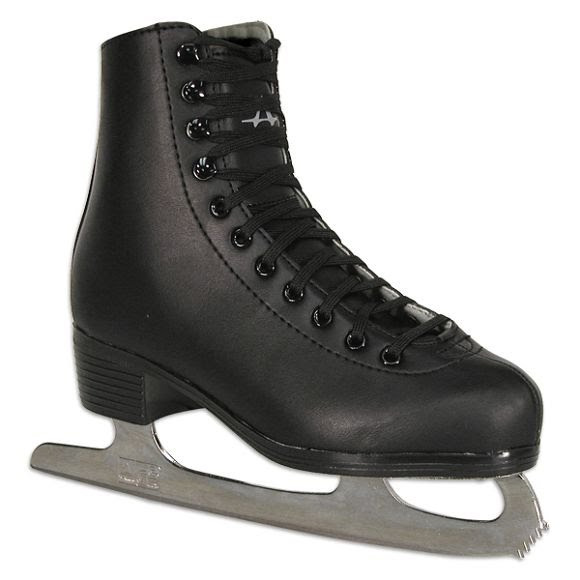 With a classic figure skate blade, durable, padded upper and ankle support his skating will definitely improve.